There's no place like . . .where? "There's no place like home," but if I had Dorothy's ruby slippers they'd have to take me apart and bring me to several places. I imagine myself more like Great Oz himself fumbling around in a hot air balloon, wondering where I'll land. My family and I have lived in Portland for a year and a half, mostly so the kids can go to high school here, and the region still feels foreign to me. Yet this is where we rent a house, where my father lives and where my children are so when people ask me where I'm from during a trip abroad, I'll probably tell them "Portland, Oregon," even though I'm not from there at all. A few months ago I spent the Christmas holidays down in Marin County, California where both my husband and I grew up. We stayed at my mother in law's 1920s-era house that's set between oak trees and has a view of the feminine silhouette of Mt Tamlpais. 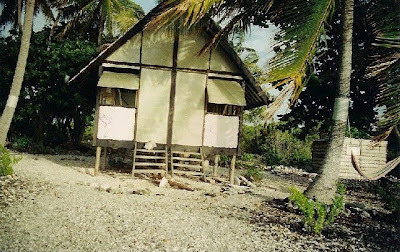 This is the house I've come back to as a base for the last 20 years since I met my husband, began traveling and eventually moved to French Polynesia. It's my favorite house in the world but it's not mine and one day my mother in law will sell it and retire. I can name every little sub-district in Marin County, scarcely have to think when driving anywhere and run into people I know on hiking trails and in supermarkets. Every place here holds a story, like that pasture land named after a horse that my dad used to know as a kid (he grew up in Marin County too); or darker, that stop light that was put up after my friend's little brother was hit by a car there. Marin County is where I'll always feel I'm coming home when I visit to no matter where I actually live. But I haven't lived in Marin County for 20 years and chances are I'll never live there again (not on a travel writer's salary anyway). The place I've spent the largest chunk of my adult life is French Polynesia where my husband and I own a house that we designed and built, and where my kids grew up. This is home, the family base and the biggest asset in my family's economic hat. It almost hurts renting it out and thinking of other people living there but it would be worse to let it rot and loose the rental income. We will probably move back there someday but I don't know when. Despite how much I love the house, the land, our neighbors and the tropical splendor, we will always be thought of and treated as foreigners in Tahiti and I'm not sure I want to live with that forever. The locals ask me about my "home" in the US, and although they don't mean it badly, they will never see Tahiti as a place I should call my own. To complicate things more, I lived in England until I was nearly five and that's still where I have the largest concentration of family. I go back regularly and my aunts and uncles have all lived in the same houses since before I was born - right now I could describe each one's pleasant, homey smell. But I can't say I'm from England, my Yankee accent makes me come off as a fake. So when asked where I'm from I cheat a little and pick the best answer depending on who's asking. "Portland" is the easiest as a conversation stopper (most people outside the US don't know where it is) and "Tahiti" gets me the most street cred particularly in places where it's not cool to be American (less of the world nowadays - thank you Obama). "San Francisco" (near enough to Marin County to work) is my answer when I feel like giving people what they want: something familiar. I'll admit to feeling a little hip not being able to come up with satisfactory answer to the question "where are you from?" But deeper down I envy the people who can answer in one word without even thinking about it: "Quebec," "Wichita," "Berlin." It would be lovely to be able to have a home, that place where history, family, friends and a house collide without explanation. In my dreams there would be a golden retriever in the yard and veggie garden out back. But for now at least, life feels like a hurricane spinning us around in the air and despite how nice it would be to be on solid ground, Kansas or wherever home is, is about as real as Oz.